Collective Energy Healing: Imagination meets synchronicity. Imagine how things could be if we all helped each other achieve success! Everyone would be much happier. Isn’t that what Heaven is like? Don’t you imagine Heaven to be a place where everyone is flowing in abundance without envy or jealousy? Instead of people tearing each other down, they want others to succeed because the realization that they are one in the same has been reached. We can have that here on Earth NOW. Our beliefs affect our reality. If each of us is awake and aware of how our beliefs are helping or hurting the collective, then we can shift our experience to a positive and blessed outcome. Have you noticed that things are cyclical instead of linear? Patterns keep repeating if a lesson has not been integrated. Once a lesson is fully integrated, the pattern is broken and we do not have to redo the same old thing. It’s perfectly fine if our lessons take us time to integrate. We can do and redo it until it’s done. Evolution is a spiral. On a more personal level, we are each evolving. Take a relationship for example. The way one relates to someone else has its ups and downs. Sometimes we really like our partner and want to feel connected, yet there may be times when we want to get away. This is a form of expansion and contraction. Evolution has this pattern of expansion and contraction. Within the evolutionary spiral, we may go up or down in our perspectives. Even if we take a step back, we are still higher than we were before taking the backward step. This pattern of going round and round happens a lot when we are transforming because transformation may be experienced as pain. We usually do not transform over night; it takes some time and patience for our change to become our new. This is all due to our beliefs. If we believe that it has to take time to fully integrate a lesson to have a new experience then that is exactly what we will end up experiencing. In reality, all it takes is a shift in perspective and that can help integrate the old pattern to change the sequence of events. Hypnosis works because it allows for us to visualize within a relaxed state our new life experience and how that would make us feel. Thoughts and feelings equal experience. When we can shift our beliefs about what we see (our perspective), then a new experience is integrated. Working with coaches or mentors is a good way to widen our scope and perspective in order to identify our patterns. Once the pattern (of action based on belief) is identified then it can be reprogrammed as a way of integration. This process is how we are able to redesign our lives. 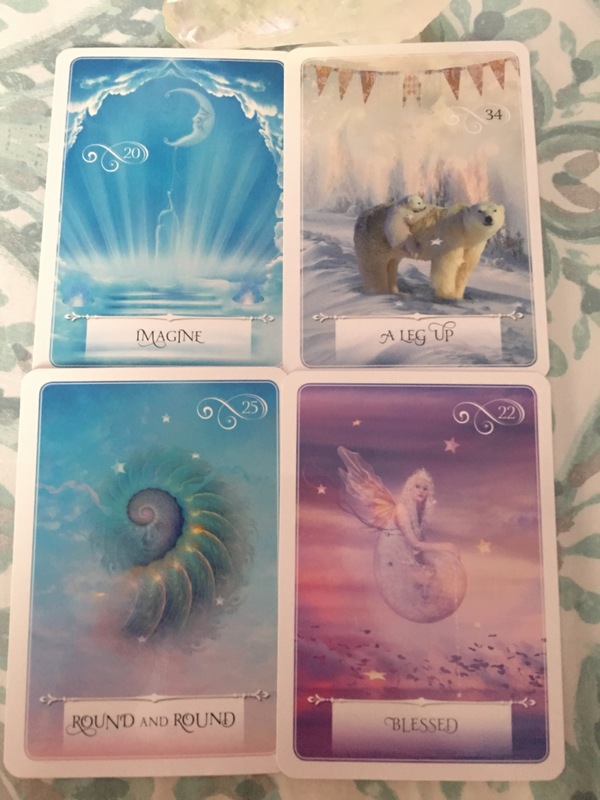 At this time of fast-paced manifestation, we may align with the right people at the right time as a way to help us through with these shifts. These shifts are being anchored through our spirituality. The foundation comes from our connection to our Higher Self. As one person helps another, it creates a ripple effect within this Univeral experience. ⚛️🌀🔮The code for this transmission is 911. “Your thoughts are manifesting into reality at an ever-quickening pace. Keep your thoughts about your divine life purpose, focused only upon your desires, and give any worries or doubts to Heaven for transmutation.” (Angel Numbers; Doreen Virtue & Lynette Brown). Next postCollective⚛️ Energy 🌀Healing: Balance is achieved through acceptance, which leads to our healing and ultimate abundance.